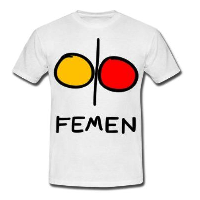 This entry was posted in ES and tagged noticias on December 3, 2014 by FEMEN. Publicités taguées: les Femen sont-elles à l’œuvre à Tournai? This entry was posted in NL and tagged nieuws on December 3, 2014 by FEMEN.